Proof, an American Canteen, at the Four Seasons Resort Scottsdale at Troon North, proves hotel dining does not have to be stuffy, boring or pretentious. The decor is whimsical yet classy; casual yet sophisticated. 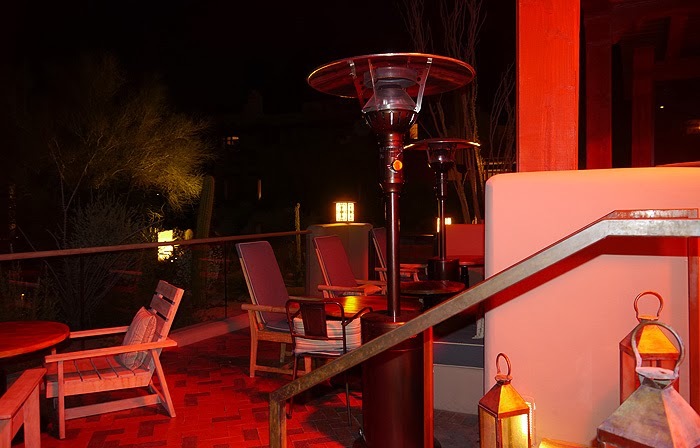 Indoor dining includes comfy lounge style couches, high top tables and even an old fashioned soda fountain; while the Sonoran Desert provides the perfect back drop for an elegant evening under the stars. Having such a wide variety of dining options makes Proof a great location for just about any occasion. Menu items are inspired by the Chef's travels around the US and include things like Deviled Eggs, Chicken & Waffles and Pretzel Knots. Proof is the kind of restaurant that guarantees to have something on the menu for everyone in your dinner party. 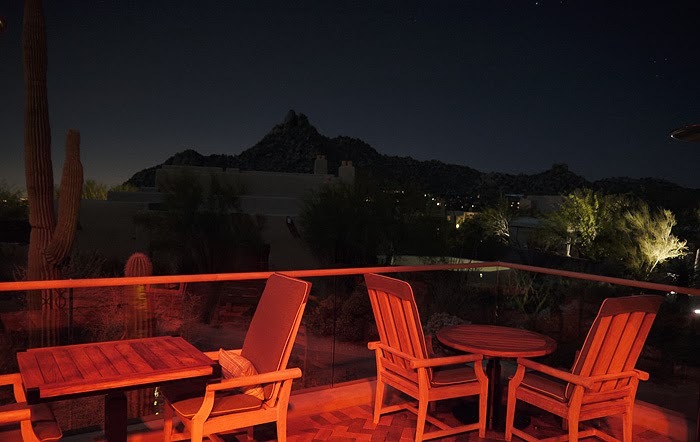 Outdoor dining is always my first choice and the patio at Proof offers an intimate 5 star dining experience with spectacular views. 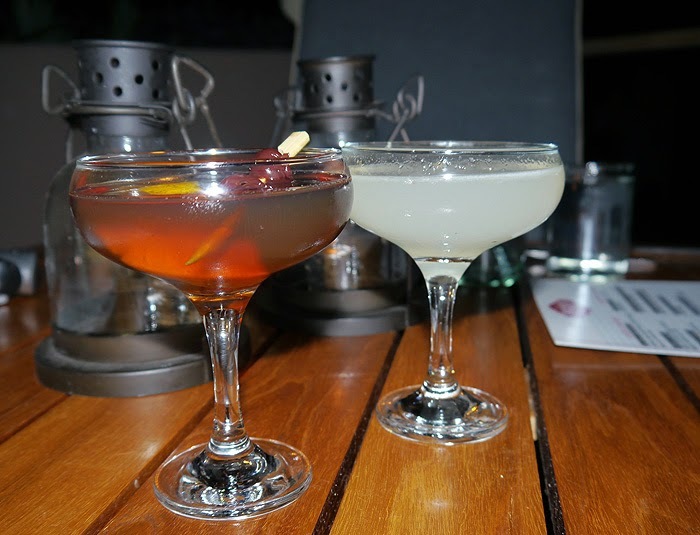 Handcrafted cocktails make perusing the menu fun, but with so much to choose from narrowing down dinner is not always easy. My suggestion would be to get a little of everything; which is exactly what we did. 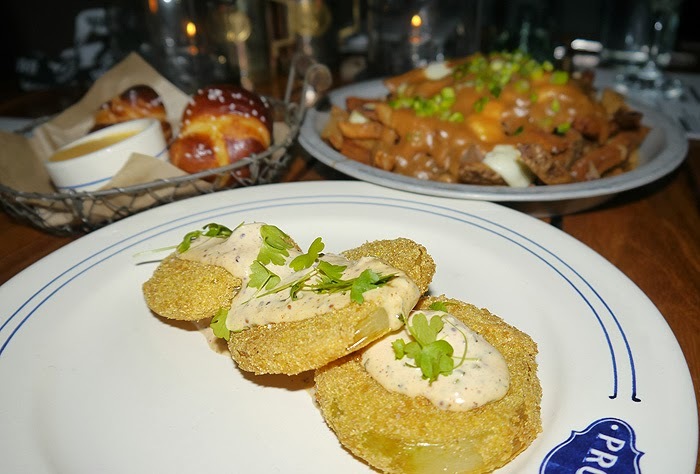 We started our meal with 3 appetizers; Fried Green Tomatoes, Pretzel Knots, and Duck Fries. I had never had fried green tomatoes before and wasn't sure what to expect. Coated in cornmeal, fried to a nice golden brown and topped with a crab remoulade, they were both sweet and tangy all at once. I won't go into much detail about the pretzels knots but I will urge you to order these soft, chewy, slightly salted balls of dough with their accompanying spicy cheese sauce. Delicious! My favorite appetizer, hands down, was the Duck Fries. Crispy fries loaded with gravy, lots of shredded duck and local cheese curds; what's not to like. 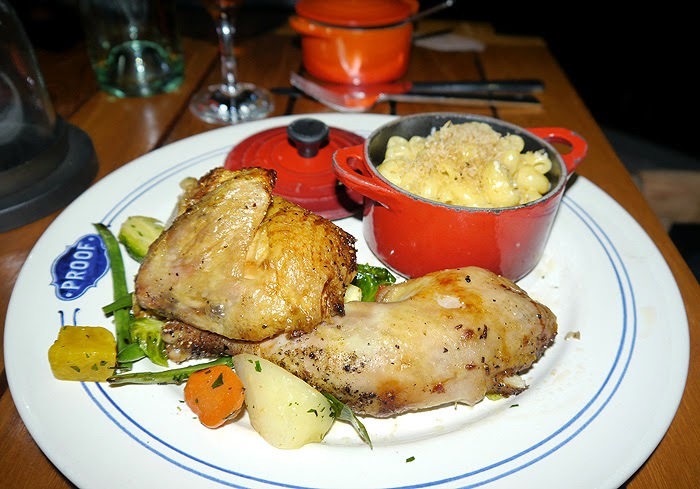 As my main course I chose the Beer Can Chicken with a side of mac & cheese and a side of sweet corn succotash. My dining companion went with the 3 Meatloaf. We were both very pleased with our selections. Chef Jesse spent some time with us during dinner explaining each item and the work that went into its preparation. He shared with us how the beer can chicken takes about 3 days to make due to the amount of time needed for brining and marinating. He also told us that the reason he uses beef, pork and veal in the meatloaf is for both taste and texture. Although we were stuffed it was impossible to turn down dessert once we found out all the ice cream was made in house. 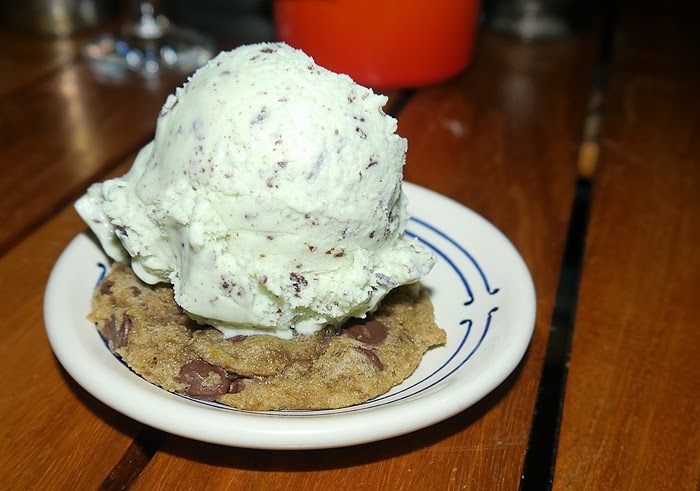 One scoop of mint chocolate chip ice cream served over a warm chocolate chip cookie was plenty for me. 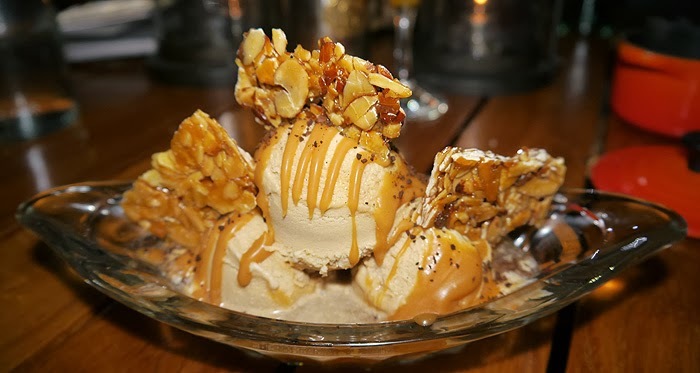 My dining companion, on the other hand, decided to try the caramel macchiato ice cream topped with coffee liqueur and caramel almond praline. I'm not sure how he finished it all; but he did and loved it! 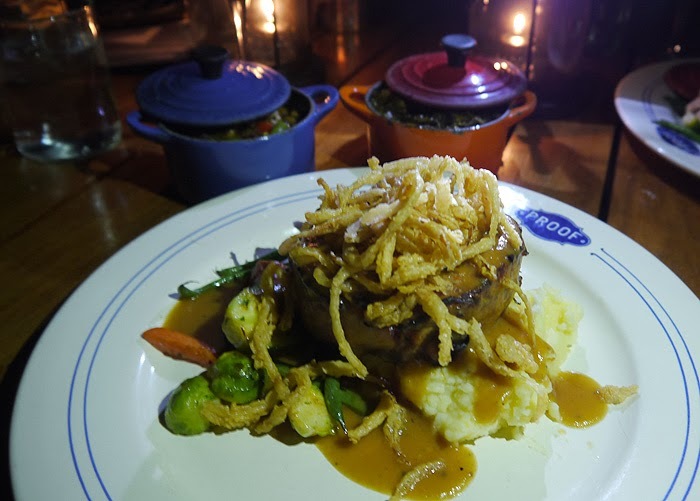 If you are looking for a different kind of dining experience, something that will please young and old alike, let me suggestion you get on over to Proof...you really can't go wrong. Cuisine type: Comfort food at it's finest. Atmosphere: Relaxed American Canteen inside with a 5 star outdoor patio option. Additional information: Small party packages & restaurant buy outs are available.